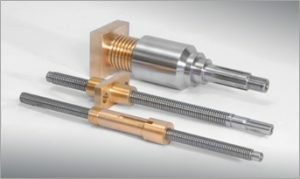 REMPCO produces threaded products for all types of machinery regardless of manufacturer or age. Our threaded product range includes acme thread forms as well as trapezoidal, round, buttress, V-thread, and many more. 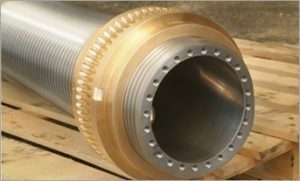 We also offer manufacturer-specific thread forms for Lucas, DeVlieg, Giddings & Lewis, and Blanchard machinery. A complete assortment of threaded replacement parts including lead screws, nuts, lead bars, feed shafts, and diamond screws is available to meet your needs. REMPCO supplies replacement spare parts to keep your industrial machinery going, no matter how specialized the application. We can customize solutions for you, whether with threaded products, gears, or other parts. Reach out to us for all your industrial spare parts needs!